Sparkle’s parents have died, and she must live with Aunt Millicent. No music is allowed in her Aunt’s house and this makes Sparkle sad because there had always been music and dancing at home. Aunt Millicent removes her radio but Sparkle hears ghostly music which she runs into the forest to find. 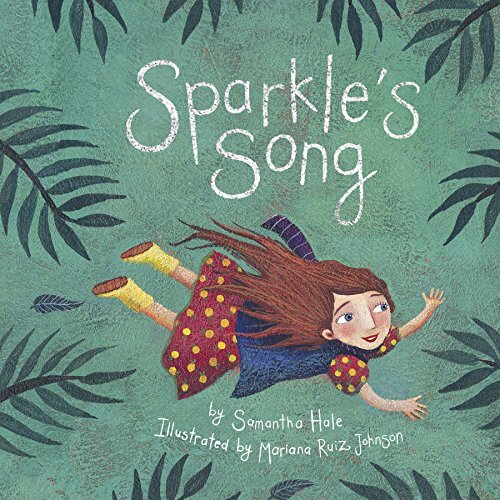 A talking piano, drum and violin bring music back into her life, and a little yellow bird explains that her Aunt is sad too, having lost her sister, and that music will restore her joy. This makes Sparkle able to talk to her Aunt and bring them closer. The illustrations are the great strength of the story. Strong but muted colours, ghostly shapes and a sombre mood match the subject well, and the human figures have a decidedly and very dramatic Spanish look about them. 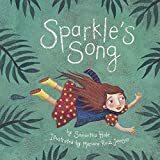 Essentially a fairy tale, the story brings sadness together with the power of music-making, but a somewhat pedestrian text does not do justice to the illustrations.